Automatic bubble machines are fun little plug-and-play devices that pump out bubbles. They're great for birthday parties, weddings and corporate events. All you have to do is pour in some of the bubble solution and presto you'll be ready to pour out thousands upon thousands of soapy bubbles with the press of a button. Bubble machines can also be a fun way of encouraging children to play outside, with some parents purchasing them just for that reason to get their children some needed exercise and themselves some needed rest. The CO-Z Portable Bubble Machine is our top pick- it pumps out tons of bubbles, works well (though not commercial-grade), and is a reasonably priced automatic bubble machine. To use: fill it up with soap water, plug it in, turn it on, and bubbles fly automatically fly out! Produces thousands of bubbles for parties, discos, weddings, stage shows, and more. That said, just take a look at five of the best selling automatic bubble machines on the market today. The quiet and durable 1byone Professional Bubble Machine works with a 120V plug in order to create bubbles that will liven up any child’s party. It features a quality ventilation design that is capable of creating high-quality bubbles. It is also very easy to use. Users of this unit have praised it for being very effective in creating a stream of bubbles, and the design keeping the motor safe from bubble liquid. However, it is important to note not to use it continuously for more than 8 hours. The Automatic 1byone Bubble Machine is a great addition to have to make kid parties and corporate events more enjoyable. One buyer of the High Output Bubble Machine shared her story about how she bought the unit for her daughter. She said that the unit was able to blow bubbles 10 feet away when it was placed three feet above the ground. The general consensus of users of the Outdoor and Indoor Use Bubble Machine is that they don’t have to worry about bubbles popping in front of the machine- meaning it’s a quality unit. One user of the 1byone Bubble Machine did complain that the fan broke after a single use. The compact and easy to carry CO-Z Portable Bubble Machine Maker is capable of creating bubbles continuously and without being too noisy. It is very easy to use in order to heighten the fun during parties for kids. Users have found this unit to be able to pump out bubbles for hours as long as the reservoir is filled with bubble liquid. Keep in mind that the unit should not be used continuously for more than eight hours. The Portable Automatic CO-Z Bubble Maker is a worth-while investment for allowing kids to have more fun during parties. Customers who have bought and used the Bubble Machine Maker CO-Z for Kids Party say that it is very easy to use. All you need to do is place the unit on a flat surface, make sure that the reservoir is filled with soap or bubble making water, and just plug in and turn on the device. There aren’t any serious complaints from the users of the Kids Party CO-Z Portable Bubble Machine. The general consensus regarding the Automatic CO-Z Bubble Maker is quite positive. 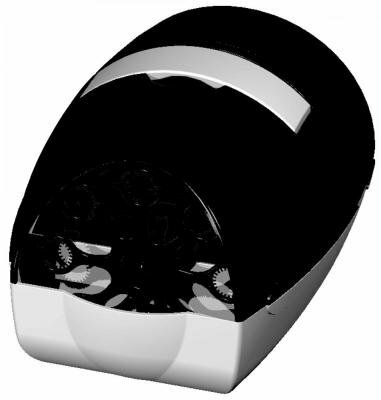 The compact designed and a quiet motor featuring Prosource Turbo Deluxe Automatic Bubble Machine Maker is able to create bubbles for hours at length. It has a large tank, a metal case, and a handle that can be adjusted. However it is important to note that the machine is known to take up a large amount of bubble solution while operating. 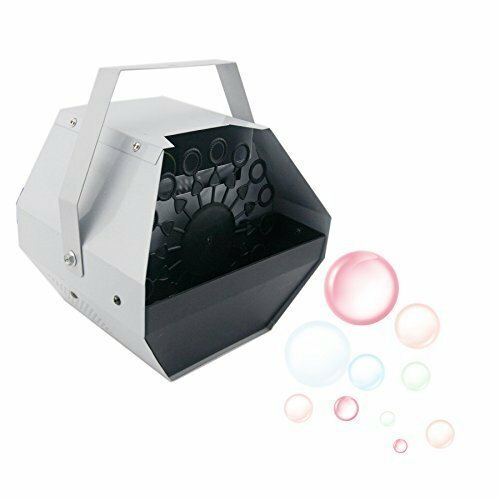 The High Output Bubble Machine Deluxe 16W Prosource is a handy unit to have in order to create bubbles at kid parties, weddings, or during a fun get-together with friends. Buyers who have used the Professional High Output Bubble Maker have praised it for being durable and capable of creating a lot of bubbles. One user of the Deluxe 16W Bubble Maker said that she had previously used other bubble makers but they didn’t last long compared to this product. However, there’s one user of the Automatic Prosource Turbo bubble maker who said that he had to throw the unit away after it stopped working after just three uses. The efficient and compact Creative Motion Bubble making machine is easy to carry around because of its design. It is able to create a high output of bubbles in order to liven up any party, whether it is a kid’s birthday bash, or even a party for young adults. People who have bought it are satisfied with the amount of bubbles it is able to create. While the design of the unit makes it easy to carry around keep in mind that one has to be very careful. Not keeping it leveled can spill the bubble liquid into the motor and ruin the unit. The Bubble Making Creative Motion Machine is a good option to go for when deciding on a bubble making machine to buy. Buyers who have used the Creative Bubble making machine have complimented its stylish design. The general consensus regarding the unit is that it is affordable and runs a long time. However, there are a minority of buyers of the Creative bubble creating machine who have complained about the unit not working at all for them. 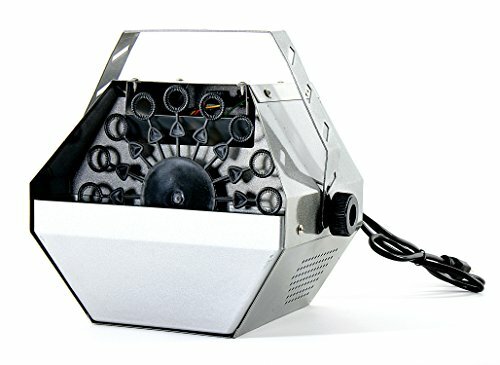 The high-quality, rust resistant Turbo Deluxe Automatic Bubble Machine is affordable and very easy to use. It doesn’t take long to setup and start creating beautiful bubbles in order to make a party look better. Users have found it to be quite sturdy with an attractive design. However take note that it needs to be placed on a flat surface for maximum performance. The High output 16 Want Bubble Maker is perfect for any occasion whether it is a child’s birthday party, or even a cool DJ party. Users of the Professional Turbo Deluxe Bubble Maker have praised the product for being worth the money. 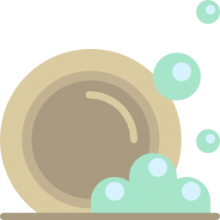 One user of the 16 Wand Bubble Maker shared the advice that other users should get the ‘bubble machine bubbles’ to fill the reservoir of the unit with to get nice floating bubbles. A minority of the buyers who have used the Bubble Making Turbo Deluxe machine have commented that it didn’t last very long. A couple of screws fell out for one user. 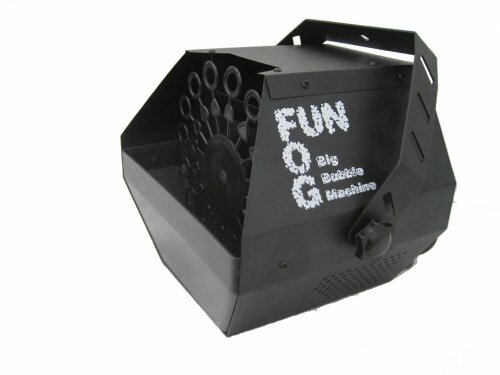 If you are looking to purchase an automatic bubble machine, you might be looking for a way of sprucing up a backyard event like a birthday party or family get together, or perhaps you are working for an event planning organization that needs some theatricality at corporate promotional dinners. Whatever the reason, automatic bubble machines are fun and festive devices that pack a lot of punch for very little cost. Make sure that you examine our comparison table to find the best automatic bubble machine for you and examine the product pages to get important information about warrantees and product specifications.